Might Christianity offer China something its leaders want? Government is not reason. It is not eloquence. Government is force; like fire it is a dangerous servant and a fearful master. Government is about force because the threat of force is the only reliable way to persuade people to do what they really would rather not. You get further with a kind word and a gun than with a kind word alone... You can't rob a bank on charm and personality. Governments run on force - how many of us would pay taxes without the threat of being dragged off to jail if we didn't? The force needed to keep you in line depends on where you're going and how fast. The faster your car's going, the more braking force you need to stop. The sharper the turn, the more turning force you need to stay on the road. If you go real fast in a direction government doesn't like, they may blow you away like Bonnie and Clyde. This gangster pair weren't even arrested and tried like normal criminals; instead, they were ambushed and shot to death after murdering nine police officers and the odd civilian or two. The government was sufficiently opposed to what they were doing that they machine-gunned them without due process. This violation of their constitutional rights was George W. Bush's fault, of course, despite his not even having been born yet. Applying force is costly - you need armed minions on the payroll. People who like to throw their weight around join up so that they can take bribes in return for not throwing their weight around. If your minions aren't kept in line, civilians get unhappy and are less likely to do what you want. You hire more minions to keep the peasants in line. This means more government employees, fewer taxpayers, and more police brutality which makes your taxpayers unhappier, and so on. If you get too many minions that are too oppressive, like Muammar Qadaffi, "your" people may decide they don't need you anymore, and your minions may agree with them. It's much more efficient to keep people in line with soft power. If you control their thinking so that it never occurs to them to do anything you don't want, you're home free. Governments worry about education because teachers have more time with kids than parents do, particularly if both parents work. If you keep teachers in line, schools stay on message. Smart governments worry about religion. Religiosity comes naturally to most people; as Karl Marx pointed out, it is the opiate of the masses, which helps them to tolerate situations that might otherwise be intolerable. Rather than use religion to keep their people safely opiated, Communist governments denied that God even existed. Mao's Communists tried to stamp out religion by killing every religious person they could find. This didn't work, so the government tried to control the churches they couldn't stamp out. Taking over the Chinese Catholic church led to conflict. The Pope in Rome insists that only he can appoint bishops and that government appointees are frauds who're destined to go to hell when they die. The Chinese government asserts the right to control all appointees, or at least to approve them; thus there are two semi-separate Catholic church structures in China, each routinely excommunicated by the other. Only the government side has the power to execute officials and members of the other one. For all that, there are an estimated 100 million Christians in China, about 75 million of whom hang with the “underground” church. Given that the government's mighty minions will harass you if they catch you attending an unofficial church, why go? It's a matter of faith - if you believe that the official church can't keep you out of hell whereas the underground church will take you to heaven, it's a no-brainer. Christianity teaches that God gives extra points if you're whacked for being a Christian. That gives incentive to let the minions know you go to church - being beaten builds your blessings, particularly if you're beaten to death. Ruling American elites have no clue what faith is all about. They try to dismiss religion from public life by declaring it incompetent, irrelevant, immaterial, and illegal where they think they can get away with it. The Chinese government kept Watchman Nee in prison from 1952 until his death in 1972. They've tortured enough Christians to death without being able to persuade them to give up Christianity that they understand the power of Christian faith. Having tried since Mao to stamp out Christianity, they realize they can't. As the Romans observed, adversity makes Christianity stronger, and “the blood of the martyrs is the seed of the Church." The officially atheist Chinese government is surprisingly open to Christianity, at least partially, because it sees a link between the faith and economic success, said a sought after scholar [Dr. William Jeynes] who has relations with governments in Asia. “They view Christianity as a belief system that if not controlled will potentially overthrow the government,” said Jeynes during his lecture titled, “God, China & Capitalism: Is Christianity in China the Key Ingredient for Economic Success?” “But on the other [hand], they see that if you try to oppress Christians that it could lead to this explosion as it did in Eastern Europe and [they could] lose control that way." Christianity threatens government power. Confucius taught that God Himself wants citizens to obey government, but Christianity teaches obedience only when laws are consistent with what God commanded in the Bible. The thought of being outranked by a "higher power" is anathema to tyrants both small and great. The Bible teaches that Christians should obey government, but only up to a point. This teaching is so plain that there was debate before the American revolution whether it would be OK with God for the colonists to rebel. Christianity challenges government in a subtler way - the Bible teaches that all men are equal before God and that all men must obey God's commands. This pulls government employees down to the same level as us peasants. Elites don't appreciate the idea that they're subject to the same laws as everybody else. The whole point of being rich or powerful is so that you don't have to follow the law. - Leona Helmsley, the "Queen of Mean"
Christianity spreads even without Christians as the Romans found out long ago. When the Romans started persecuting Christians, Christians started quoting the Bible back and forth to authenticate each other. The Romans had to have secret agents study the Bible enough to quote it so they could get in and take names. Unfortunately, reading the Bible converted enough agents that they had to find another way. It's hard to separate truth from legend after so many years, but the story goes that the Roman government invented the idea of having Christians draw pictures of fish as a password so that their spies wouldn't have to read the Bible at all. Despite their best efforts, Christianity survived and took over the empire. Becoming a theocracy damaged both the Roman government and the church; Rome collapsed not long afterward but the church lived on. The Chinese are well aware of all this. The Chinese also know that the English kings burned John Wycliffe at the stake - he had the effrontery to translate the Bible into English so common people could read it. The power of the monarchy ebbed as Bibles became more and more common. Having explained the down-side of Christianity from the governmental point of view, the next article in this series explains the up-side. Given its utterly subversive nature, what advantages could the Chinese government see in Christianity? Not everyone can live in freedom. "When the Romans started persecuting Christians, Christians started quoting the Bible back and forth to authenticate each other. The Romans had to have secret agents study the Bible enough to quote it so they could get in and take names. Unfortunately, reading the Bible converted enough agents that they had to find another way." What “Bible”? There wasn't a "Bible" even written until the Council of Nicaea 325 AD. The greatest bulk of early Christians were illiterate and passed on their stories by word of mouth. You have watched too many Charlton Heston movies my man. Yet again, Wee Willy is wrong. The "Bible" has been around in various forms since the tenth to the second century BC. The "Bible" was never a single unchanging cohesive entity by a single author. To this day, different denominations include different books as their "Bible". It goes far beyond the Old and New Testaments in terms of parts. The Catholic church began assembling an official list of books that was the "Bible" in 300 AD but Christians (Catholicism has nothing to with actual Christianity) passed Hebrew scripture around far before that. Willy, for someone who prides himself on understanding the *real* way the world works, and being able to see the man behind the curtain, you really don't know very much about any of the topics you jump into. It's almost as if you've skimmed a thousand different topics, from the fringe author/researcher's perspective, but have never bothered to fully understand any one of them. That makes you a fraud, sir. 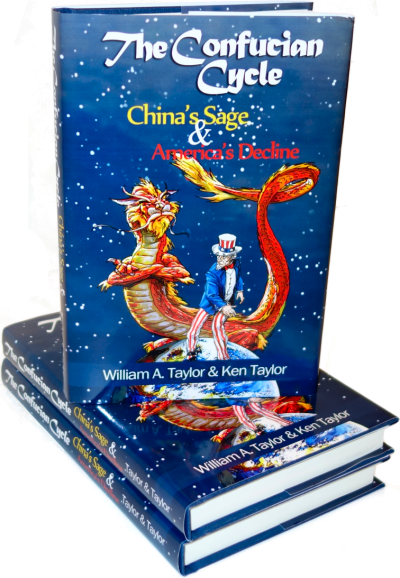 The current Chinese regime has a clear memory of the relatively recent past (mid-19th century, which in the scale of Chinese history is yesterday). The Taiping Rebellion was conducted by an unsanctioned Christian cult founded by a lunatic. Twenty million people lost their lives in the ensuing war and the Taiping occupied Nanjing. The Taiping misadventure was one of the last nails in the coffin of the Qing Dynasty. 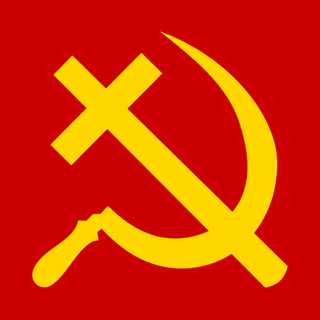 The current communist regime is not only inherently anti-religious as part of their ideology, but also bases their concepts of religion and the state on thousands of years of historic precedent, much of which is not familiar to people in the West outside a small circle of China specialists.